Halloween is only a few days away! 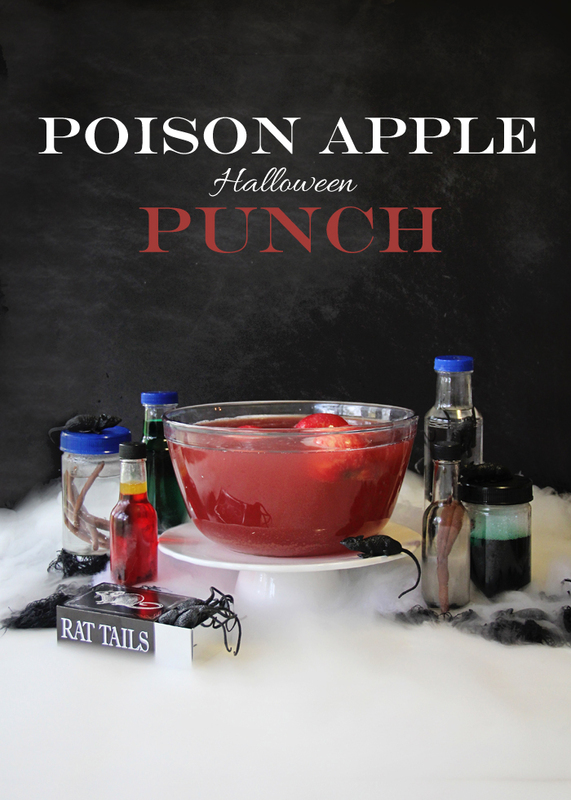 If you are having a Halloween party, or just want to make this day a little extra spooky for the kids, this Poison Apple Halloween Punch is super easy to make on a whim and only has four ingredients. This is the perfect opportunity to recycle old glass jars for the potion and poison bottles. I spent very little money and I just purchased the spider webs and plastic worms and rats from the dollar store! Want to go above-and-beyond? 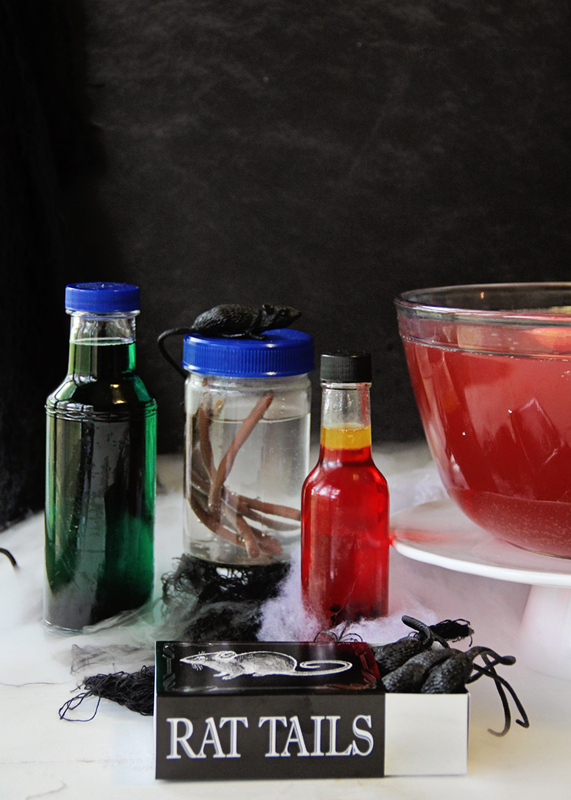 Dry ice creates a fun, spooky effect and is a neat experiment for the kids to see. Check out my full article and recipe over at Living Litehouse!